1. Which side is left? The driver's side is the left side. The passenger side is the right side. It's that way based on you being in the driver's seat. 2. How do I know what color when there are similar choices? Who knows the difference between mocca brown, beige or oak? We do and as long as you provide the VIN to your Volvo during checkout we will guarantee you get the correct color. Same for exterior color choices as well. 3. What the heck is a VIN? Where do I find it? VIN stands for Vehicle Identification Number. The VIN can be found on the title, insurance cards or on the vehicle on the left side door or doorpost, and by looking through the driver's side windshield while standing outside of the vehicle. 4. What does FWD, AWD, A/T, M/T and other abbreviations stand for? FWD means Front Wheel Drive. AWD is All Wheel Drive. A/T or M/T is asking if your Volvos transmission is an automatic or manual shift. 5. What is front wheel drive? If your car is FWD Front Wheel Drive it means the two front wheels receive power from the motor/transmission and drive the car. AWD or All Wheel Drive means exactly that, all four wheels drive the car. 6. 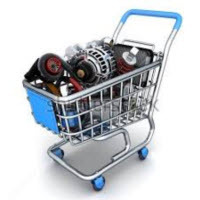 I can't find the part (or accessory etc..) Please click the Contact Us link at the top of every page and you can ask an experienced Volvo parts advisor to assist you via chat or email or phone. 7. Do we sell Genuine Volvo Parts? Yes, that is all we sell with rare exceptions like for economic reasons we will help you get a quality non-Volvo produced part. 9. What is a core charge? Volvo offers remanufactured parts to save you money and in order to keep doing that program going, they need your old part back to rebuild for the next person who needs it. We call that a core. In order to ensure that Volvo gets the old part back, they assign a value to it so that if you return the old part you get a refund. Please see core policy as there are rules that apply. 10. What if I get the wrong part? If you provided the correct VIN number during checkout and we send you the wrong part then we pay for the shipping of the wrong parts and the correct parts. We will also consider shipping the correct parts overnight air if needed. We want your business and strive to keep customers happy. We are successful 99% of the time.